I’ve made these several times and also made them from the purchased box that Auntie Anne’s sells at their stores and now at Walmart. With a few simple ingredients, you can have Auntie Anne’s baking at home! You can control the salt and butter, add your own fillings and toppings or even make your own cinnamon raisin pretzel that they stopped making a few years ago. 1. Dissolve yeast in warm water and let sit. 2. Combine flour, powdered sugar and salt. Add yeast and oil. Knead 5 minutes. 3. Let rise 45 minutes. Preheat oven 425 degrees. 4. Make a bath for the pretzels using the 4 cups of warm water and 1/2 cup of baking soda. Roll dough 8 pieces 3 feet long. Dip in the baking soda bath for about 20-30 seconds. Then place on greased baking sheet. 5. Bake 4 minutes. Turn and bake 4 minutes. Brush with melted butter and salt with kosher salt, pretzel salt, etc. thank you for posting this. i can’t wait to make this. at todd wilbur’s site he charges for certain recipes and i don’t have the money right now for his book. I’m confused, what’s the bath and solution you are to use in number 4? Good point! Thank you so much for finding that error. I have corrected the recipe. 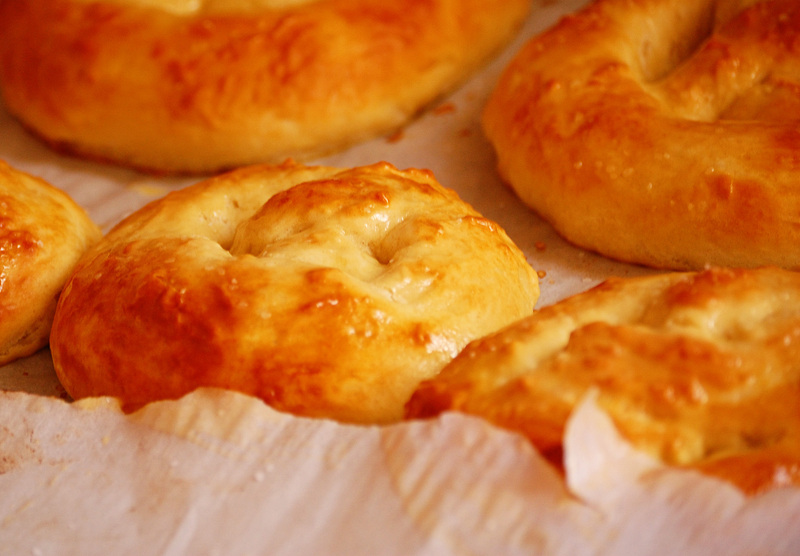 Most pretzel recipes will use a solution of baking soda and water right before baking in order to get a crispy crust on the outside while being chewy on the inside. I am so glad for this!! Todd’s site charges for recipes, and I can’t afford it at the moment!! I was just on his site, and thought I would google the recipe to see if anyone posted it free!! Thank you! !